Simulation software has proved to be a boon to metal stamping industries in our time. There are many industries like aeronautics, electrical, electronic, automotive, and so on that benefit from this aid. The metal stamping software is used to get an overall idea about how the part will work, the best design, and also helps build the required tool to produce it. This is a great gift for the engineers who can now explore various tool design options, and simulate how the different parts will react with the material during the actual metal stamping process. The engineers are able to design the part for manufacturability and are able to save time and money for their customers in a long run. Some of the additional benefits are mentioned in this article. Technology has made a lot of things possible in our time. There are many areas in the metal stamping field that simulation software can benefit. Along with the metal stamping simulation software, there is a pre-set material library. This library has the specifications for standard materials that are used in metal stamping. This helps the metal stamping companies to get a detailed idea about how a specific material will reach with the tooling during the manufacturing process. At many times, simulation software is instrumental in revealing the weak spots in part design. The software may provide insights and results that give an idea that the metal might crack or pull in the production phase. 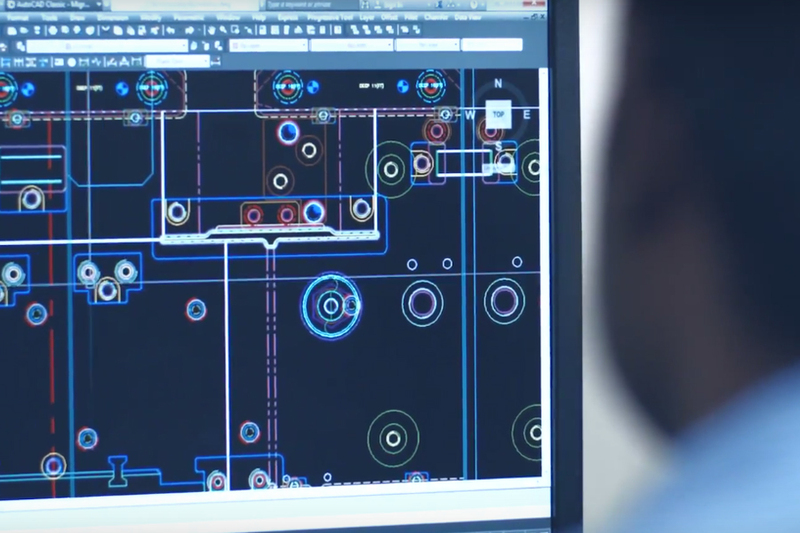 When it comes to new part design, the engineers may run several tests to get a clear idea about how a tool will perform, and whether or not the material will work efficiently. The software runs for many hours depending upon the tests performed by the engineers. The simulation software helps get good insights in complex parts such as compound and linear bends. The simulation software can also be instrumental in evaluating the existing tools that have borderline problems or experienced downtime. The software helps the precision metal stamping suppliers to save money and time involved in designing and building a new tool. In earlier times, a prototype tool was the only option to determine how the parts could be stamped efficiently. However, now with the help of simulation software, a virtual prototype can be created. The virtual tool can give an idea about how the parts will be formed using a certain material. There are various ways the metal stamping supplier uses this feature to save money and avoid potential problems in manufacturing down the road. In the metal stamping field, building a tool is considered to be an expensive affair. However, with the help of simulation software, the engineers can create a virtual tool and identify problems before developing the actual tool. The software is instrumental in coming up with designs that are even unconventional, and this feature can also result in additional cost saving. With the help of simulation software, engineers can get relevant insights into how the parts will operate in the given environment. It is easier now, for engineers to evaluate the design of a certain part for manufacturability. Simulation software will help the suppliers and manufacturers to get solid proof of what to expect in the manufacturing process. The software can recommend some improvements in the tools, and there are easy options for smooth and easy approvals for the same. By using the simulation software, the engineers are able to perform smart work and ensure that only the best output is produced. Simulation software in metal stamping helps understand why and how a certain material will react. So rather than go through with the lengthy process of developing the actual tool and then making changes, the simulation software helps engineers do all of it in a virtual environment. This helps them do smart work, and provide efficient results to the customers. Currently, there are numerous benefits from this technology and Eigen is using all that it can offer. Our aim is to make the best use of the technology and always provide efficient results to the customers. With the increased growth in demand for metal stamping parts, the stimulation software works efficiently to provide the best result for customers. This amazing feature in the tool design helps us come up with top quality solutions for our clients in tool design. Use of simulation software requires some skill and expertise on the engineer’s part. So we make sure that the engineers are updated with the latest technology and keep mastering it to provide efficient solutions on a consistent basis. 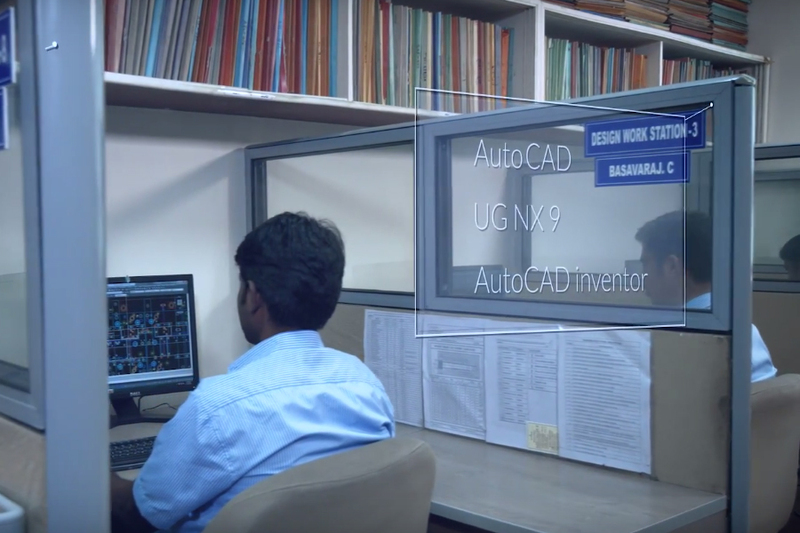 We make extensive use of CAD (computer aided design software) such as, CAD key, AutoCAD inventor, ProE, Solid works, 3D Quick press, UG NX 9and all the latest technologies. All of these software applications are used in-house by our engineers backed up with years of experience. As a result, we are able to provide the most efficient solutions to our customers from around the globe. Ujjwal handles crucial roles like Senior Manager Marketing, researcher, and is an author for KDDL – Eigen. He currently works with Eigen for implementing proven techniques and strategies for marketing plans on online and offline platforms. An expert in efficiently executing SEO, SEM, email marketing, social media marketing, PR marketing, Print campaigns, etc. Ujjwal has coordinated an efficient marketing team on various creative campaigns and programmatic buying to support various digital cross-promotion efforts. Implement efficient search optimization strategies with the help of collateral material and metrics. In his former years, Ujjwal has years of experience in a managerial role for several reputed companies. His years of experience combined with the flair of writing help him come up with result oriented strategies for Eigen.